The Central Bureau of Investigation opposed the bail plea of former Indian Air Force chief S. P. Tyagi and others arrested in Agusta Westland chopper deal case. A file Image of the the AugustaWestland helicopter. NEW DELHI: The Central Bureau of Investigation (CBI) on Wednesday opposed the bail plea of former Indian Air Force (IAF) chief S. P. Tyagi and others arrested in Agusta Westland chopper deal case. However, the agency sought more time from Special Judge Arvind Kumar to argue on the merits of the case stating that documents in the matter are voluminous in nature, being around two lakh pages, and it need more time to read it. The court granted more time to prepare the argument and posted the matter for Friday for further hearing. Tyagi -- the first chief of any wing of the armed forces to be arrested in the country -- and the others were allegedly involved in irregularities in the procurement of 12 AW-101 VVIP helicopters from Britain-based AgustaWestland. 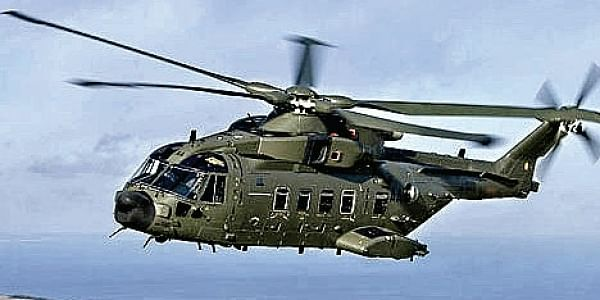 Defence counsel Menaka Guruswamy told court that Tygai has nothing do with the helicopters deal and termed "baselesss" the allegation that he has hatched conspiracy to reduce the service ceiling of the helicopters from 6,000-meters to 4,500 meters to make AgustaWestland an eligible company to supply a dozen helicopters for VVIP flying duties. She said that reducing of service ceiling was taken in a meeting held by Principal Secretary to Prime Minister in November 19, 2003 and the contract was awarded in 2010, while Tyagi was IAF chief from 2004 to 2007 so he has nothing to do either with process or awarding of contract as both of them did not take place during his tenure. Citing his health condition, Tyagi's counsel told court that he is 72 years old and suffering from various ailments. Claiming innocence, former IAF chief sought bail on the ground that he has co-operated in the investigation. Tyagi's counsel said that as he is a decorated war hero, he is not fleeing from justice and will follow the conditions. Other two accused Tyagi's cousin Sanjeev Tyagi and Gautam Khaitan, a Delhi-based lawyer, also sought bail arguing that they will follow every conditions imposed by court and will not try to influence witness or tamper evidence. Khaitan's counsel Pramod Kumar Dubey also maintained the same content in his bail plea. To strengthen his plea, advocate Dubey submitted before court that Khaitan has not misused any conditions of bail granted earlier in a separate case probed by Enforcement Directorate (ED). To show solidarity to the former IAF chief in his legal battle, around ten veterans including former Air Marshals were present in the court room during the proceedings.